After Christmas: Where’d The Tree Go? The first week of the year has come and gone – have you put away your Christmas decorations yet? I have to be honest and tell you that my Christmas tree is still at the corner where I put it up months ago. I am actually looking at it right now. It’s not so bad, though, since it is a “fake” tree. I just need to summon enough motivation to take it down and pack it up again. Looking at the tree got me thinking about the “real” trees – countless trees! – that were used over the holidays. Where do people put them after the festivities are over? 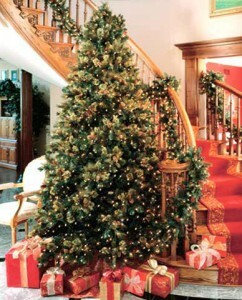 If you use real trees for decoration, what do you do when the month of January comes around? It’s comforting to know that there are groups that help the average person to dispose of their trees with the environment in mind. One such group is the South Carolina Department of Natural Resources. What the group does is to go around recycling centers in the state and gather used trees. They then sink these trees into fresh water bodies – making sure they’re upright. This is because the trees attract fish and provide an conducive environment for them to live in. There are other groups which rent out Christmas trees. This is also great for the environment as they have options such as maintaining the tree for you for the rest of the year. There are groups like that offer this service in the UK, in Canada, and some states in the US. At the end of the day, what matters is that you recycle that tree.